Today's news brings us our first on-foot look at one of the most anticipated releases of the year in the 'Columbia Blue' Air Jordan 11 Retro. Traditionally recognized as the 'Columbia Blue' AJ XI, this year's release actually sports a blue hue known as ' Legend Blue.' Just like past versions of this iconic colorway, the 2014 version rocks a full leather build with a mesh tongue, and patent leather overlays in white. 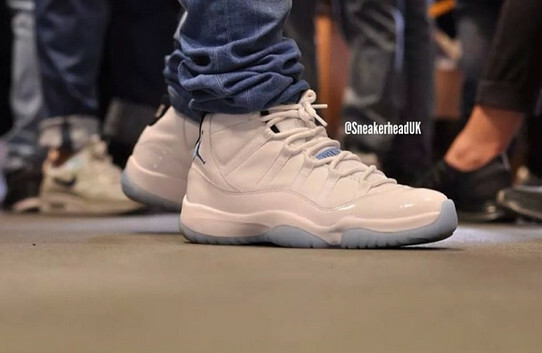 The 'Columbia Blue' Air Jordan 11 Retro is set to hit Jordan Brand accounts this December.